At the center of Lecia Dole-Recio’s paintings stands the materiality of the support medium, on which she works and which she manipulates. Instead of using prefabricated canvases, Dole- Recio usually creates her own surfaces: she collages paper, various kinds of cardboard, and fabric to produce a substratum on which she paints, only to deconstruct the result by carving into it. The saturation and composition of the colors contribute as much to the quality of her work as the depth of the positive and negative spaces she uncovers with the stencil knife. Lecia Dole-Recio lives in Los Angeles, where she teaches at the renowned Art Center in Pasadena and CalArts in Valencia, CA. 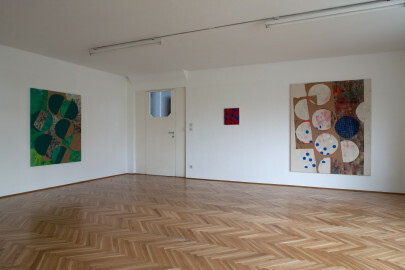 In this Secession exhibition the artist presents a selection of her latest works. The conditions of painting as a medium as well as the history of abstraction are important points of reference for Lecia Dole-Recio’s artistic practice. 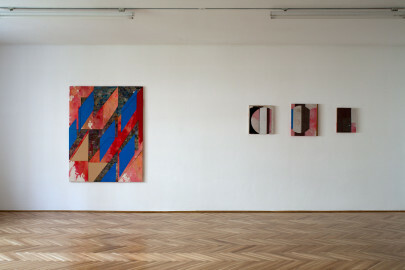 Her visual compositions are marked by complex layerings of various materials: canvas, cardboard, paper, and paint. In the volumes created in this way, the artist makes precise cuts and thus works from the visual support. Geometrical shapes are arranged in organic-seeming constellations and patterns that have an affect on the space around them. In this Secession exhibition, her first show in Austria, Lecia Dole-Recio presents a selection of her latest works. The exploration of a spatial perception of painting that is manifest in her previous oeuvre is expanded in these most recent works by adding a temporal component. The artist here uses the remains and scraps of earlier work processes, negative images, as it were, of already existing works that she collages and treats in her usual manner. In so doing, not only does she suspend the distinction between “valuable” material and waste, but also underscores the variety and processuality of her art. 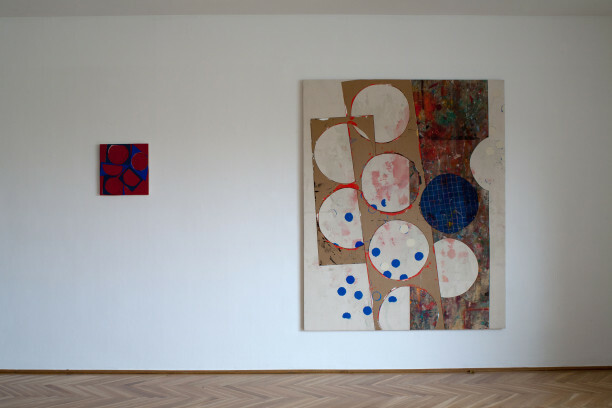 It becomes clear that an artist like Dole-Recio takes the abstract painting as a starting point, but in the meantime deconstructs it using the theoretical and formal stock of installation. This is visible in a quite literal sense already in her early works: fragile paper elements and other materials are applied to the canvas, the clarity and stability that we know from past abstract painting seems to have dissolved, the sensual impression is on first glance often more comparable to a Calder mobile than to painting. The paintings are not bound to the canvas, their materiality dissipates in the space around them. 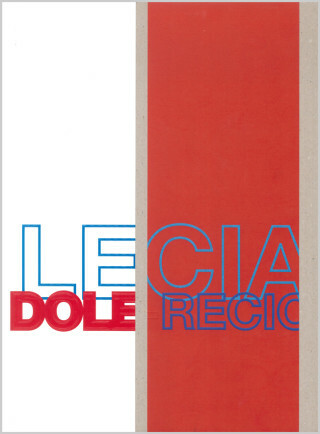 Lecia Dole-Recio, born in San Francisco in 1971, lives and works in Los Angeles.